This entry was posted in Uncategorized on April 19, 2016 by Florida's Big Dig. Jim Map of the Soo Locks, Sault Ste. Marie, Michigan. This is a simplified but detailed sketch or map of the Soo Locks. These locks allow access to the minor or lower Great Lakes from Lake Superior. 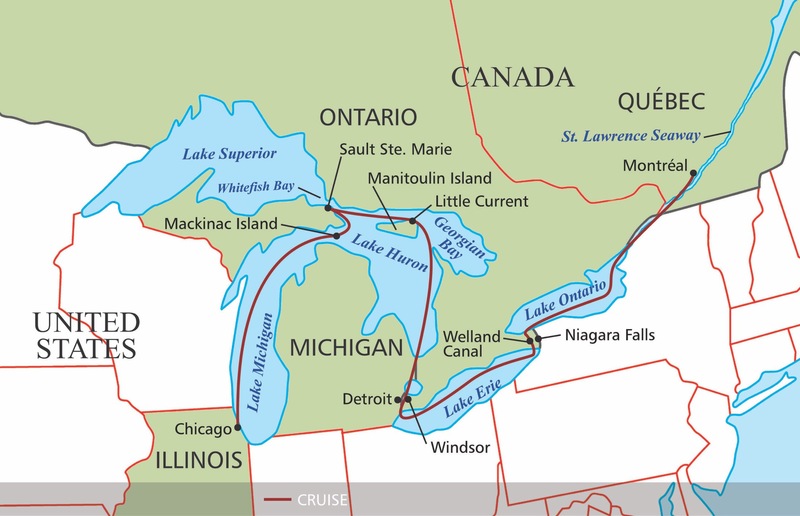 Thus, for example, large freighters filled with iron ore, coal, and other minerals used in manufacturing steel may be transported from the iron and coal mines ringing the Lake Superior through the Soo Locks, to the manufacturing cities surrounding the minor or or lower lakes beginning with Lake Huron and on through other lakes over the Saint Lawrence River east to the Atlantic Ocean. This entry was posted in Uncategorized on April 18, 2016 by Florida's Big Dig. At Sault Ste. Marie, Michigan, the Soo Locks assist the Great Lakes freighters in transiting from Lake Superior to the minor lakes below like Lake Michigan or the minor lakes to Lake Huron, Lake Erie, and Lake Ontario via the Welland Canal (parallel to the Niagara Falls) to the Saint Lawrence Seaway, and finally to the Atlantic Ocean. The Herbert C. Jackson transiting through the Soo Locks at Sioux Ste Marie, MI. This entry was posted in 2016 Dubai International Boat Show, Uncategorized and tagged "Herbert C. Jackson" Great Lakes Freighter, Soo Locks on April 17, 2016 by Florida's Big Dig. Leaving considerations of potential damage to the St. Lucie estuary aside, the Corps continues to slowly and methodically discharge Lake Okeechobee water to both east and west Florida coasts to reduce the possibility of a catastrophic breach of the Hoover Dike walls and damage to hundred of thousands of acres of farm and environmentally sensitive land as well as loss of life and serious injury to countless numbers. The Corps has lessened the amount and number of discharges. This entry was posted in Uncategorized on April 15, 2016 by Florida's Big Dig.